Moat Boat Race, Bishop's Palace - click here to see 'What's On' in Wells and the surrounding area. The Crown Hotel in the Market Square - click here to see all the accommodation available in Wells. The Bishop's Table - click here to see all the available places to eat in Wells. Wells has the appearance of a quintessentially English village and is enjoyed by visitors from across the globe. It is compact, with cobbled streets, medieval architecture and a market square, yet is actually a city – the smallest in England to be precise! Given this accolade by the commanding presence of Wells Cathedral, it is situated in the heart of Somerset, with its name deriving from the three wells within The Bishop’s Palace. 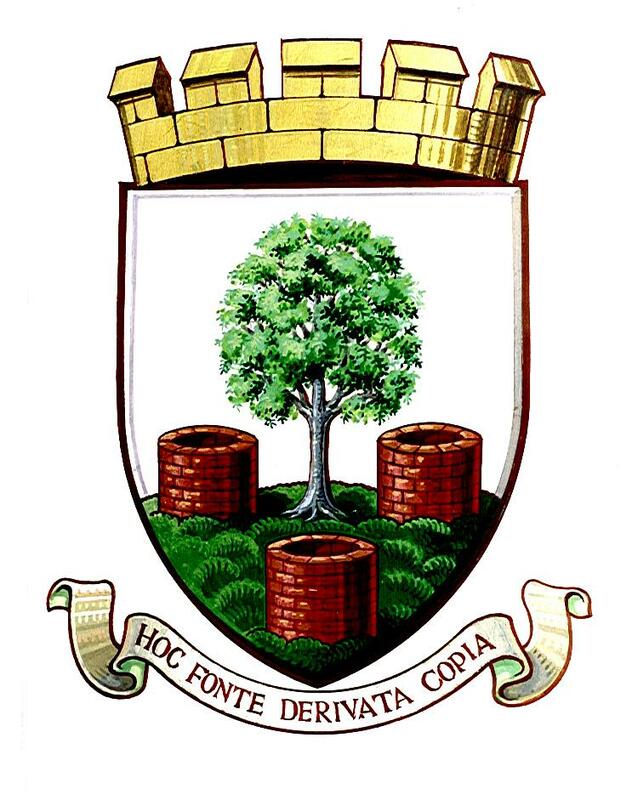 On the Wells City Council crest you will read the Latin phrase "fonte derivata copia" which translates "the fullness that springs from this well". Wells has much to offer whether you choose to visit for a day, or longer, and whatever the season. Wells City Council provides a Changing Places facility at the rear of Wells Town Hall. As one of the main tourist venues in Somerset, Wells attracts a high number of visitors each year; by providing this facility the city council is enabling local people and visitors, to get out and enjoy the activities many of us take for granted. The room is conveniently located close to the city centre, shops and key attractions. There is parking reserved for the use of this facility immediately outside the Changing Places entrance. Wells Christmas Market takes place in the run-up to Christmas. For more information on events coming up keep an eye on our 'What's On' section. The aforementioned Cathedral, still a working place of worship, and The Bishop’s Palace and Gardens (now RHS affiliated), are undoubtedly the two main attractions, however, don’t miss the hidden gems such as Vicar’s Close, St Cuthbert’s Church, Wells Museum and The Almshouses. Walking Tours of the city are available to make sure you take it all in! Wells also prides itself for its many independents shops, cafes and restaurants, selling artisan goods and locally sourced food and drink to suit all tastes. With its position close to the Mendip Hills Area of Outstanding Natural Beauty, it is an ideal base for nature lovers, walkers, cyclists and photographers. Close by you will find the well-known destinations of Glastonbury, famous for both its music festival and Tor, Street and Bath, the Somerset seaside towns of Burnham-on-Sea and Weston-super-Mare, Stonehenge and Wookey Hole. Browse our website to plan your visit to Wells…. We look forward to welcoming you.